The war is not over, but a small battle has been won. 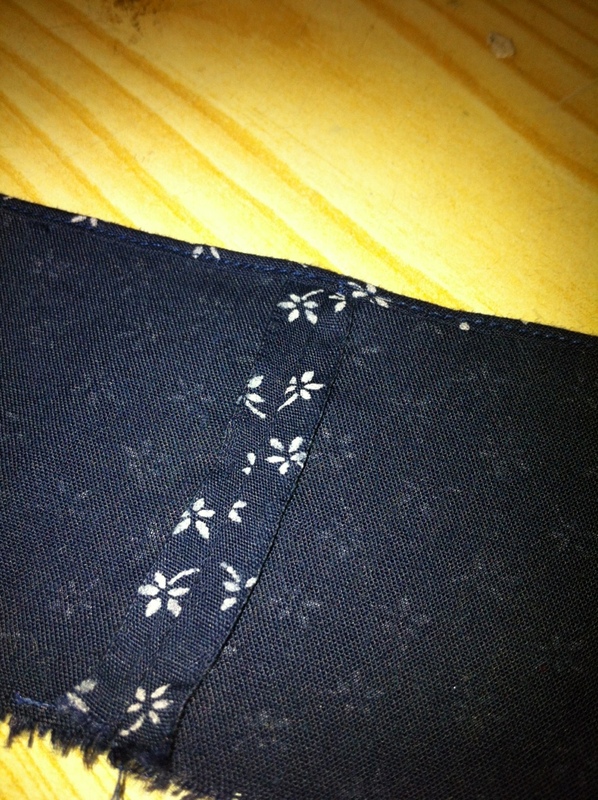 I trimmed the seam allowance from the hem area just before stitching across it. SO MUCH easier. Yeah for winning! I love my rolled hem foot now that I know how to use it. Every time I start to think I’ve figured out the rolled hem foot, it throws me another curve ball and I discover that I don’t have it down nearly as much as I thought I did. So congrats on a victory, however small! 🙂 Now if you ever figure out a good way to use the rolled hem foot on something with corners (i.e. all four corners of a napkin), let me know, because I haven’t found one yet. Yeah, this is the issue, isn’t it? This was a ripped edge on cotton—just about as easy as it gets. But trimming the seam allowance helped a LOT. Yeah, I just haven’t found a way that makes the corners look neat when I’m finished. But then, I can’t always make the middle look nice either! Elizabeth, no offence, but I hate you. I have practised with my rolled hem feet (yes I have more than one) for what seems like days and I still can’t use it consistently. So just repeat exactly what CG said. Tanit-congrats on the winning a battle. Dare I ask when you are moving? This was definitely one of the battles with the odds stacked towards me—a best-case scenario, as it were. I can’t even figure out how to feed the fabric into my rolled hem foot, so I’m slightly green right now. Don’t worry though, I’ve been that colour for months, watching you all sew. lol Congrats on winning this battle! Starting, it helps a lot to press/roll/finger-press the first inch or two, so you can start it without having the fabric in the scroll of the foot. Then once you’ve started, you can wriggle the fabric into place to keep going. Rolled hemmer foot is crap on curves but decent on a straight edge. I think grainline is pretty significant on how well it works. I’ve never had a really decent one on a circle skirt, but on a ruffle- totally easy. That looks so beautiful, I could cry. And also makes me think I should look into trimming my seam allowances, sigh. Very nice! I only tried it once and gave up right away. Will have to try again, someday.